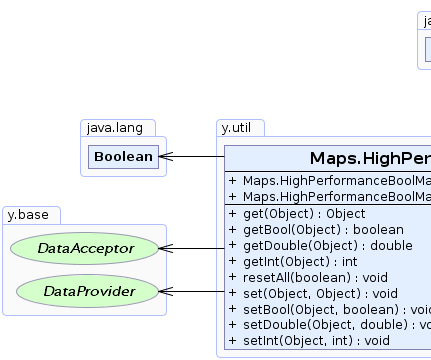 Implementation of a resettable high performance map for values of simple type boolean. 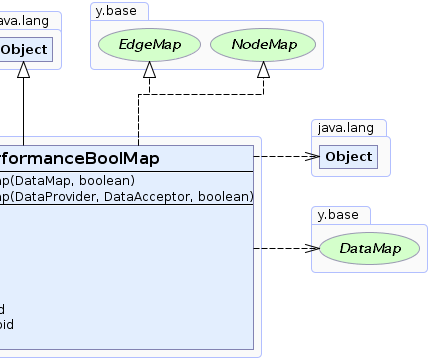 A high performance map is a facade to another map which will allow to reset all bound values to a default value in constant time. Returns the value bound to the given node. Returns the boolean value bound to the given node. Returns the double value bound to the given node. Returns the integer value bound to the given node. Resets all values to the given default value in constant time. Associates the given value to the given node. Associates the given boolean value to the given node. Associates the given double value to the given node. Associates the given integer value to the given node.